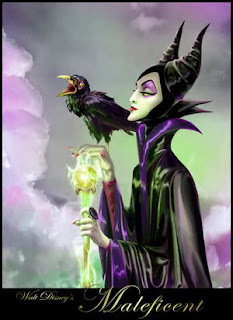 Tim Burton is rumored to be in talks to create Maleficent another Disney re-envisioning (after this spring's upcoming Alice in Wonderland-which is a completely new story not an adaptation of the book) . The live-action film would focus on the backstory of the Sleeping Beauty villain, why she was so enraged, seemingly evil, and her quest for revenge- I mean she waited nearly twenty years to get even. I have to say given the popularity of such critically acclaimed fairy tale re-envisionings as Gregory Maguire's Wicked I think this could be a really great idea for a film, Tim Burton's aesthetic certainly matches that of Sleeping Beauty and well, Maleficient is seriously one of the coolest film villains of all-time. I'm just hoping this is his follow up to Dark Shadows and not made INSTEAD of .